All Woolies are created from all natural materials and fibers. 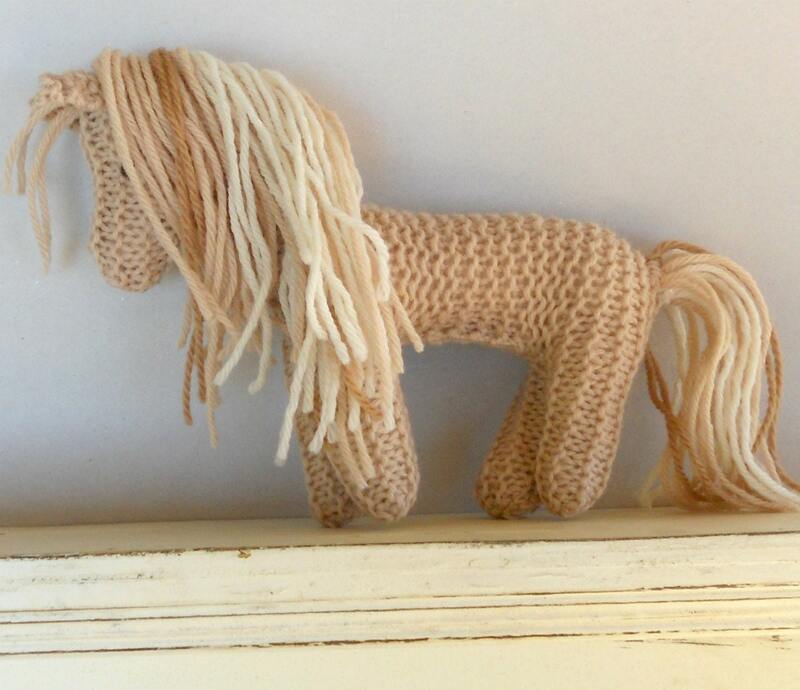 Pony is hand knit from 100% wool yarn. He is stuffed with clean, carded wool so is super soft and squishy. He has a wonderful long mane and tail, which is securely attached. He is about 7" long, from nose to tail, and stands about 5 1/2" tall. Fully hand washable. Remove wooden tag if giving to young child. 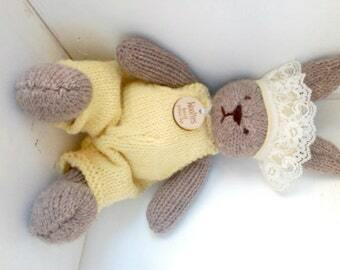 She was able to customize the bunny for me, and it turned out great!